A civilian helicopter crashed Sunday in Afghanistan. There were no indications that the crash of the Mi-8 helicopter at southern Kandahar Air Field was caused by hostile fire, military officials said. Sixteen people died in the crash, and five were wounded and were treated on the NATO base, said Capt. Glen Parent, a spokesman for the NATO-led force in Kandahar. No military personnel were wounded or killed, NATO said. Parent said the helicopter burst into flames when it crashed near the runway only moments after takeoff. The Russian news agency Interfax said the Mi-8 was owned by the Russian air company Vertikal-T. It cited Russian charge d'affaires Andrei Vadov as saying there were no Russians among the 16 killed. The Mi-8 helicopter can seat up to 24 people, Parent said. Civilian helicopters help ferry civilian contractors and supplies to small military outposts across Afghanistan. In a second helicopter incident in the country's east, a U.S. military chopper made an emergency landing in Kunar province, the military said in a statement. U.S. military spokeswoman Lt. Cmdr. Christine Sidenstricker said no enemy fire was reported near the helicopter. Personnel on the helicopter were taken to a medical facility for treatment, but no other details were released. The two incidents came after a spate of recent aircraft crashes in Afghanistan. A U.S. Air Force F-15E Strike Eagle fighter jet crashed early Saturday in central Afghanistan, killing two crew members. U.S. officials say insurgent fire did not bring down the plane. Elsewhere in the country, the Afghan Defense Ministry said 35 militants were killed during a joint operation by Afghan and coalition troops in the Shah Walk Kot district of Kandahar province early Saturday. The mission included the use of airstrikes, it said in a statement. A spokesman for the ministry, Zahir Murad, said he did not know how defense officials knew that 35 militants had been killed, and there was no way to independently verify the number. Also in the east, a suicide bomber attacked the Afghan-Pakistan border crossing at Torkham, killing a border police officer and a civilian, said Gen. Ayub Salangi, the provincial police chief of Nangarhar. 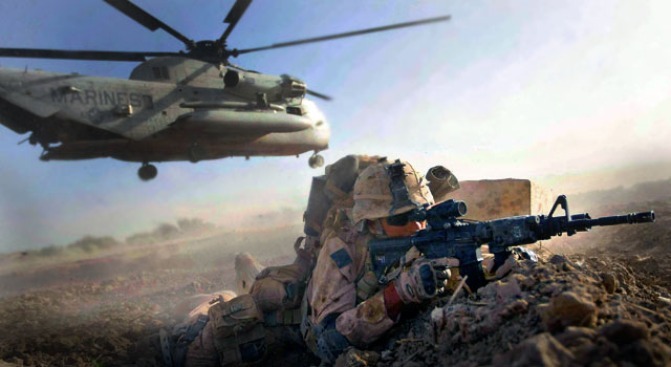 Militant violence has risen across Afghanistan in the last three years, prompting President Barack Obama to send 21,000 additional U.S. troops this year. Within months, a record 68,000 U.S. forces will be in the country. U.S, NATO, and Afghan forces are working to provide security for the country's Aug. 20 presidential election, which Taliban militants have vowed to disrupt. Gunmen killed a candidate for provincial council in Kunduz province Sunday as he was traveling to a campaign event, said Ahmad Sami Yawar, the spokesman for the provincial governor. Candidate Jan Mohammad and his driver died in the attack, he said.